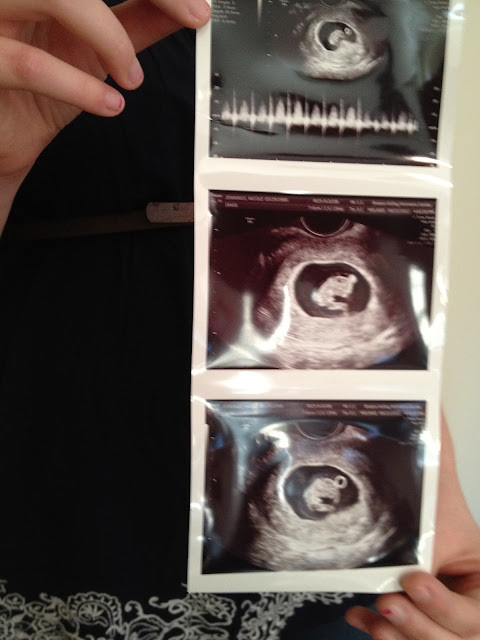 Oooh, I'm so excited to finally be sharing with all about you guys about this wee one. First of all, this baby was not unexpected, but it still took me by surprise. After being about a week late for you-know-what, I finally had the nerve to take the test. 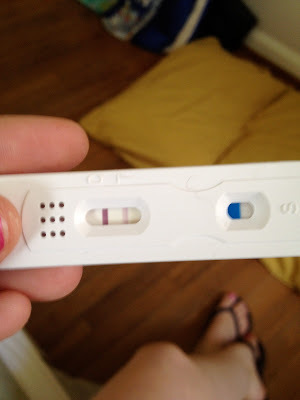 I was pretty sure at this point that I was pregnant, but I knew that test would make it final. And I would have to ween off my habit of two cups of coffee each morning. I took the test, and within seconds, two little lines appeared. I told Josh after I took the test, and he was definitely excited. But, I think that we were both excited and nervous as the same time. The first few weeks were long. Honestly, they were full of a lot of fear. I'll tell you about that soon. Since I didn't feel pregnant at all for the first few weeks, it was hard for me to connect that I was really growing a baby. Also, it made me question if everything was alright. At about week 7, I started to feel a bit queasy if I didn't eat, tired, and honestly, totally unmotivated. I wanted to do nothing. I had no desire to create, to write, to blog, to clean, to cook, or really anything but lay on the couch and watch "How I Met your Mother." My biggest pregnancy symptom was probably laziness. I.did.nothing! 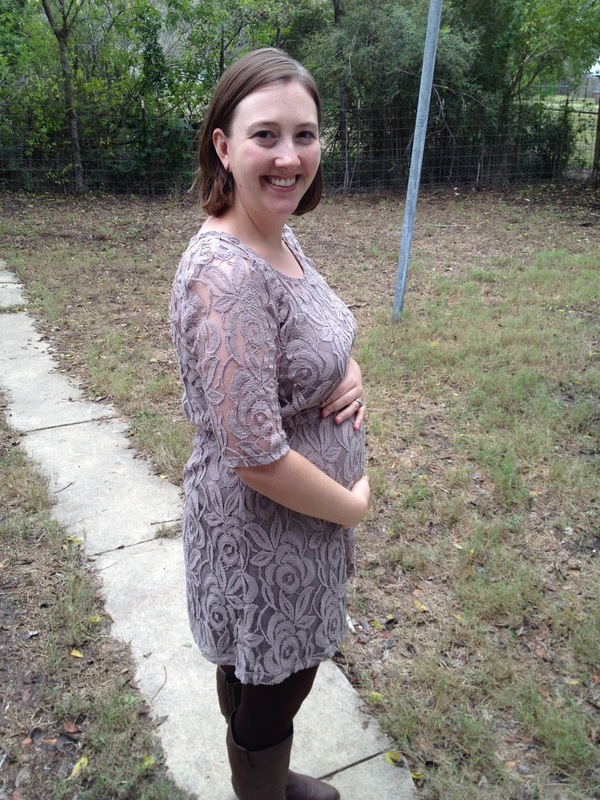 At 9 weeks, I had my first prenatal visit and was expectant and nervous. When I heard and saw that little heartbeat, I felt such relief. Such joy. I felt more comfortable telling others about this little life even though (even now!) it's hard for me to believe that a little one is growing inside of me! By 11 weeks, some of my motivation began to return and the chunkiness began. Now, at 14 weeks, all my pants are too tight, but I still don't really look pregnant at all! We had my 13 week appointment last week and heard a strong heartbeat (160) and even got to see a little ultrasound of the baby flipping and flailing about. Honestly, I think it's still sinking in that a little one is growing inside of me. I feel totally undeserving of this little life, yet I know that it is a gift. Even if something goes terrible wrong, this baby is gift. If everything goes perfectly right, this baby is gift. how exciting! with a heartbeat like that i am saying girl! So, so exciting and so happy for you! I'm on the same journey you are (12 weeks today), so I understand the mix of emotions. Congratulations!!! Congratulations on your precious little one. May the days ahead be filled with joy and peace.